You invested a lot in your household appliances and so it’s best to invest in a proficient service provider too. If you are seeking a home appliances repair Humble company, feel free to turn to ours no matter what service you need. We are experienced with all large kitchen appliances and all types of washers & dryers. 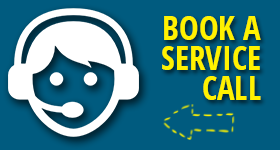 As soon as you share your troubles with us, we do our best to dispatch a local tech to your home in a timely manner. Whether you need electric or gas appliance repair service in Humble, Texas, choose us. Committed to serving fast but also in the best possible way, we hire the best home appliance repair techs in Humble. By working with local techs that are both reliable and licensed, we ensure their quick turnaround and the quality of the service. Whether you are looking for a refrigerator technician or an oven repair expert, give us a call. Whenever you run into dryer problems or want a tech to repair the washing machine, all you need to do is dial our number. Each and every time, we appoint a qualified appliance technician to the service. The appliance service technician will arrive to your home on time and properly equipped. Do you need to fix the stove? Is the dishwasher overflowing? Is the washer leaking? From fridges & freezers to microwaves, dryers, and ranges, the pros can fix any major household appliance. To do that in an effective manner, they fill their vans with all the necessary spare parts and tools. The job is done with the best diagnostic equipment. After years of troubleshooting and fixing home appliances, the techs can take care of any problem. So, if you need a dependable service, turn to Appliance Repair Humble TX. When the fridge is leaking or there is a problem with the gas oven, you stress. We get that and send an appliance repair pro as quickly as possible. The faulty appliance is thoroughly checked and the culprits are found and tackled. Don’t let a simple problem upset you. Always remember that the solution to your problems is only a phone call away. And don’t forget that we are also here for a routine appliance service. Should you decide to invest in a long-lasting peace of mind, turn to us for maintenance! 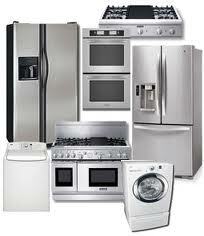 If you are suddenly faced with troubles, just contact us for the home appliances repair in Humble.